It kind of reminded me abit of the powdery sherbert though and got me thinking if i could make something like that for an ejuice. Does anyone know of any flavours that can enhance the "powdery, fizzy sherberty" mouthfeel? MrGruffy, sammstein and helixx like this. The fizz is one of vapings holy grails. Most believe it's psychological, and comes when the right flavors are perceived. Others say you can get it from TFA Champagne, but I haven't had any luck reproducing a fizz. Fizz is a physical sensation felt on the tongue. Vaping is 99% olfactory, sensed in the nose. On a sidenote, has anyone tried Flavour west's rainbow sherbert concentrate? Thank you Laurie. Posted my reply at the same time u suggested rainbow sherbert. FW rainbow sherbet definitely tastes like sherbet, a bit fruity, a bit tangy, and quite sweet, maybe a little acidic? It can definitely add another dimension to a juice. TFA has one too that is supposed to be good as well, but I haven't tried it. Flavour Apprentice Mountain Dew has the fizz. ( In my opinion ). 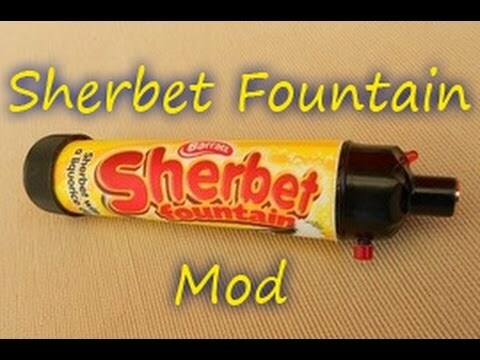 Maybe that could be worked into a sherbet with the right additions? You're trying to mimic sensations and feelings rather than actual carbonation/powder. Miniscual amounts (like 0.3%) of TFA Koolada or Citric Acid can help things pop. You'd want to be heavy handed with the EM or Sucralose, either could work depending on the other ingredients. I think you'd want to baseline about 5% EM but then you will also run into muting problems. You'd also want to put the fruits on some sort of light base so you don't just end up with sweet fruit. Maybe small amounts of whipped cream or VBIC would work. Meringue or Marshmallow may have a place to fluff it out depending on everything else in the mix. You're looking for a "dry" mix rather than a "wet" mix if that makes any sense.